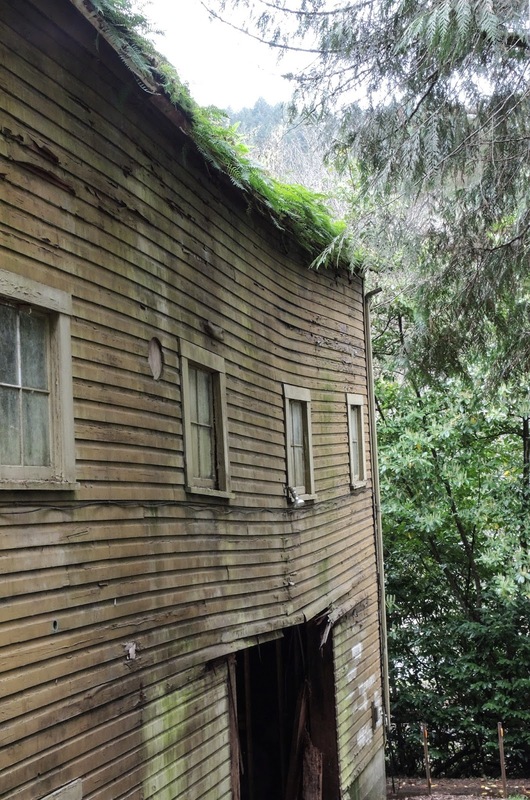 Tucked up on a ridge in a forested area is a wooden structure that was once owned by the Forest Service. 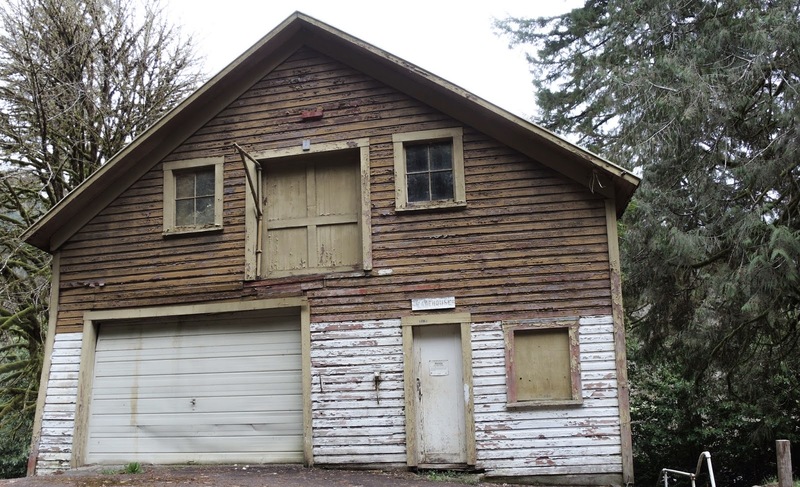 Now abandoned, its peely paint and sagging wooden beams tell us that it will soon be collapsing into a heap of hundreds of board feet of what once was, in all likelihood, beautiful Oregon trees. 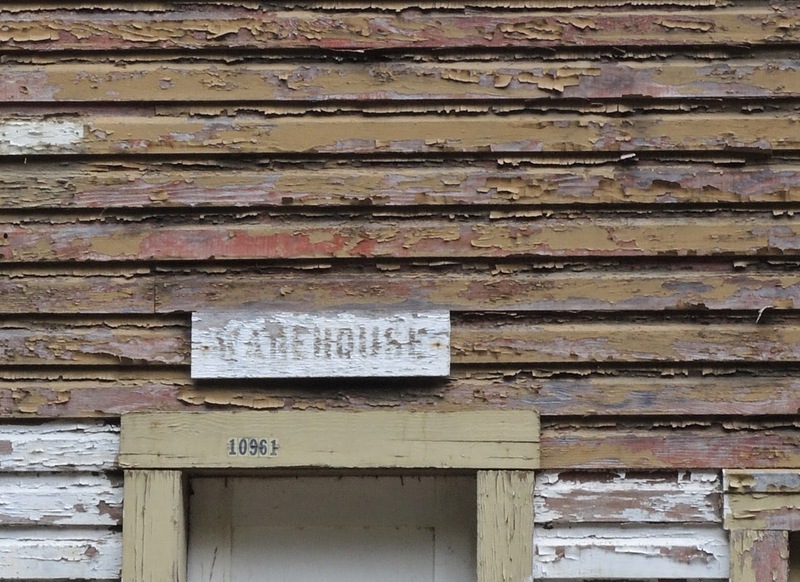 I found this old warehouse by being curious. I spotted it from a nearby highway and decided to drive up to investigate it. When I reached the area I was met with a state trooper car sitting near it. I stopped and inquired about the building and told him I noticed a sign that said the property was under surveillance. He acted very official and asked me what I was interested in on the property. I told him I wanted to photograph the big old brown building. He said, being kind but still official, "oh the supposedly old Forest Service warehouse." Then he told me "be careful as the building is on the verge of falling down. Don't walk inside -- dangerous." So off I went to gather the photos I bring you today. Thanking the kind but official state trooper for allowing me on the property. 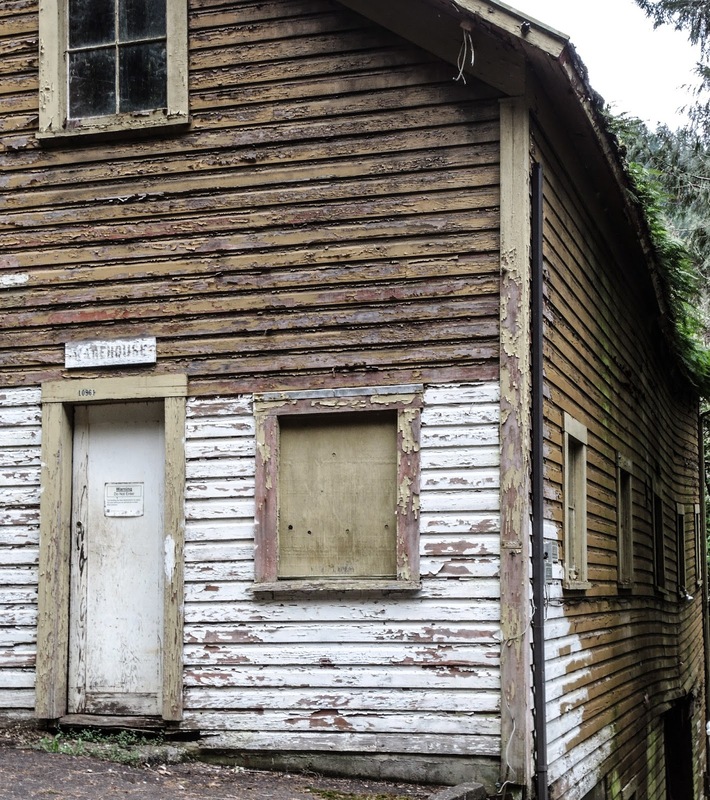 These photos show the lovely patina the building has gained with age. But, unfortunately the building is beyond saving. 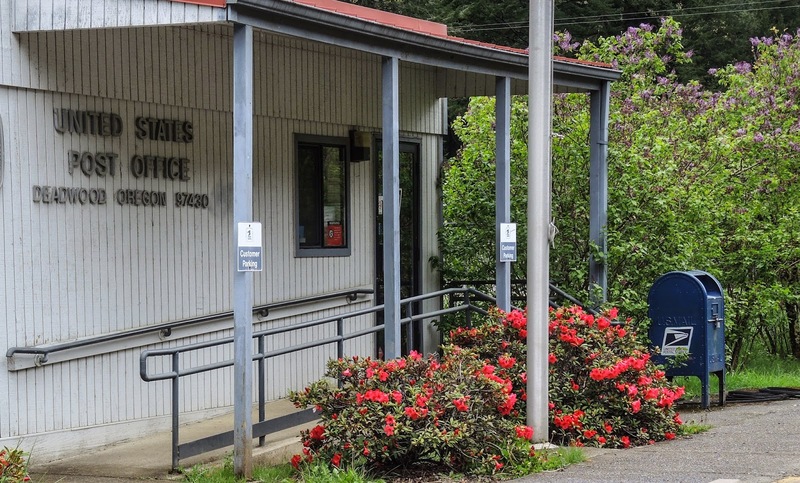 I wondered as I drove away how many of these old Forest Service buildings are still around? Labels: COASTAL MOUNTAIN AREA, DEADWOOD, OREGON, POST OFFICE. At last I have a dog. I have wanted one since my last dog Sal died. I found her through the Humane Society. Her name is Daisy and she is a sweetheart. There is a no leash policy here. 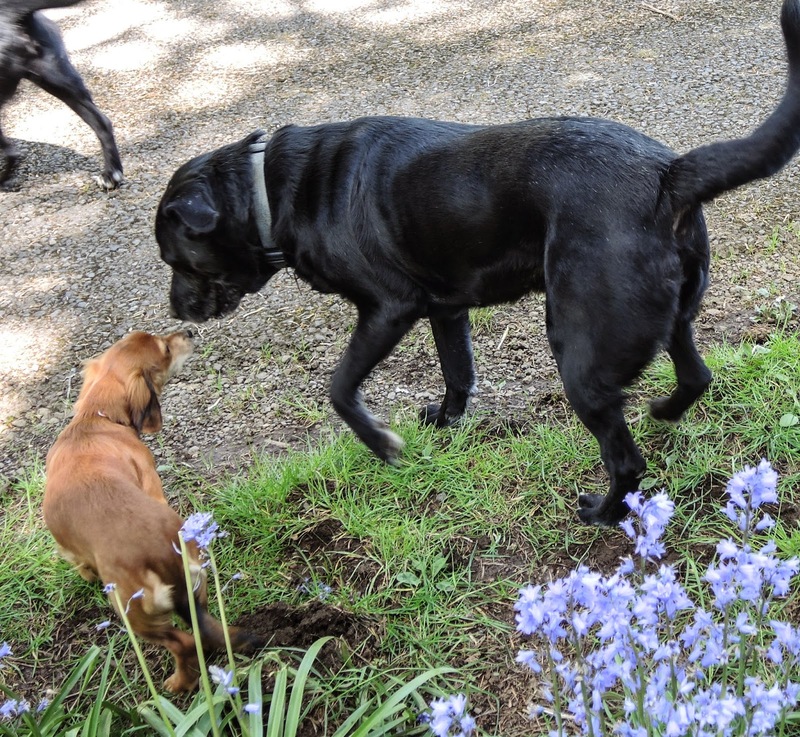 Usually the dogs are taken by their owners to the neighborhood park for exercise and to play with other dogs. A new beginning for her and me. I am ready. Labels: DAISY DOG, NO LEASH, PARK, PLAY. A few days ago I found this funny looking raggedy thing about the size of my hand. I picked it off the ground and thought what the heck is this? I had no idea what to call it. Over the next couple days I researched for the possibilities of what I had found. Its texure and size reminded me of a leaf -- a fallen leaf possibly? But then eventually, from my research, I found out that it was a lichen -- presumably the common name of this particular one -- Laundered Rag lichen (Platismatia norvegica). 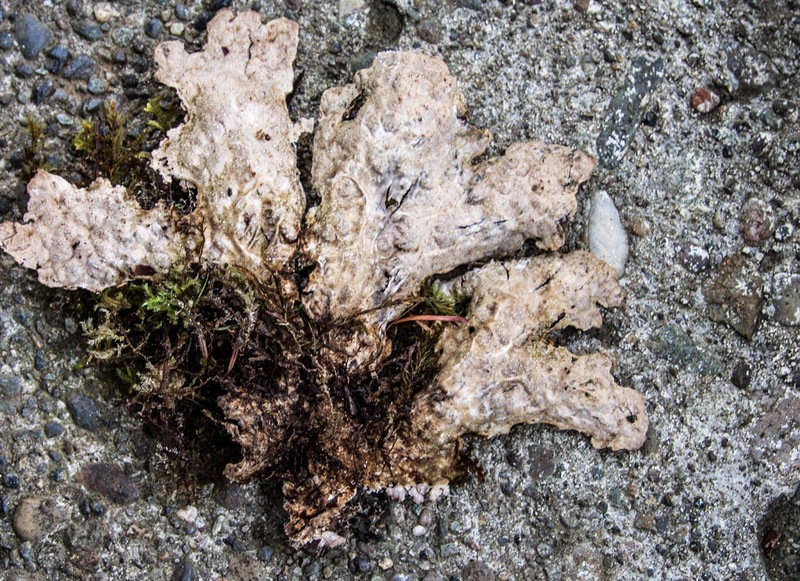 "Lichens may be long-lived, with some considered to be among the oldest living things. They are among the first living things to grow on fresh rock exposed after an event such as a landslide. The long life-span and slow and regular growth rate of some lichens can be used to date events (lichenometry). Many lichens are very sensitive to environmental disturbances and can be used in cheaply assessing air pollution, ozone depletion, and metal contamination. 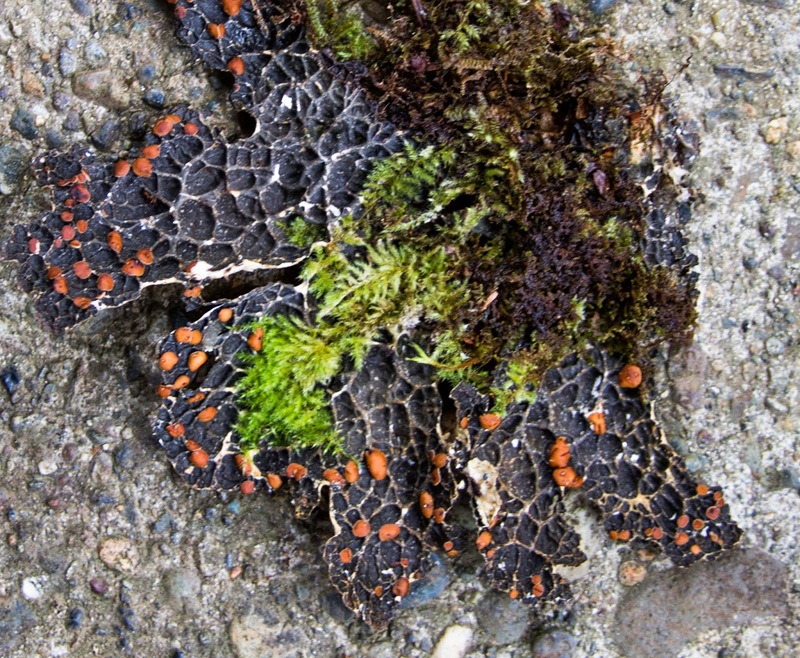 Lichens have been used in making dyes, perfumes, and in traditional medicines. 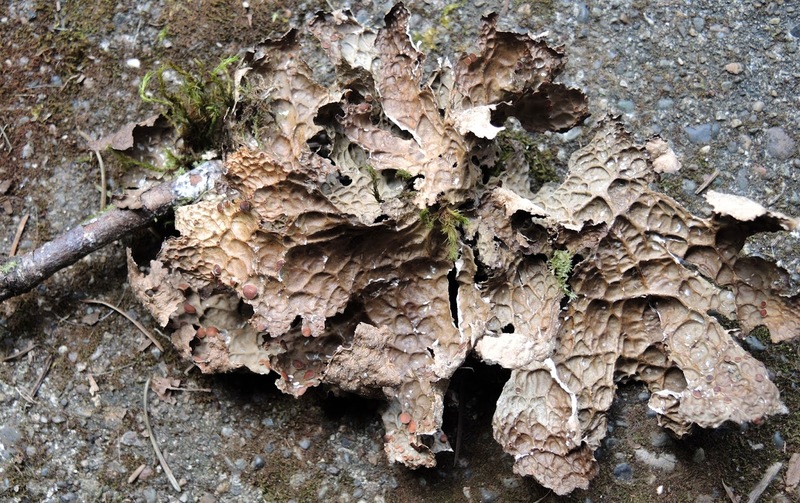 Few lichen species are eaten by insects or larger animals." Also that lichens cover 6% of the earth's surface. And lichens come in all different shapes, colors and sizes. I am sure some of you find oddities in nature that you set aside until you find out what it actually is. Puzzles of nature can bring us many pleasures while sharpening our brain powers. If I am wrong in designating this lichen Laundered Rag -- I would appreciate if you could let me know the correct name. Dave is retired now. To him retirement just means he can do more of all the many things he enjoys. First and foremost on his enjoyment list is fishing for salmon and steelhead. He lives along the Siuslaw River where long about October of every year the river fills with salmon returning from their ocean wanderings to spawn in streams that are along the Siuslaw. He told me that you can actually see them in the river swimming in droves after a rain -- fighting their way back to spawn. Dave moved to his river home about 20 years ago from an Oregon farm in central Oregon. His, new to him, river home was originally a school house built in the latter part of the1800s. He told me the floor beams under the floors were fir with the bark still on them and were round rather than square. He has spent many years -- since moving into his home -- designing a garden and making all types of objects out of wood. 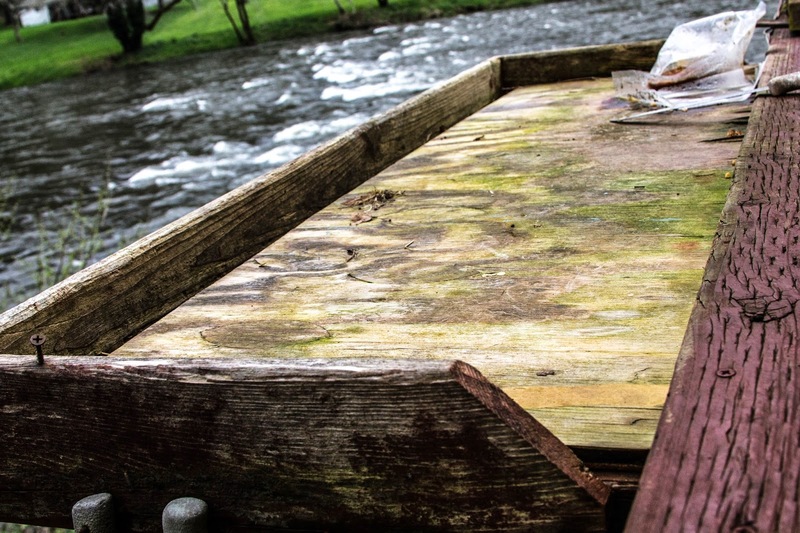 He also picks his blackberries in the summer to make jams, cans sweet pickles, and cleans salmon on a special tray that he built off his river deck side where he cleans all his fish. He has a large workshop on his property where he appears to be able to make anything with his hands and imagination. He told me that creating with wood just comes to him naturally -- he is self taught. I counted at least 20 birdhouses on his property. 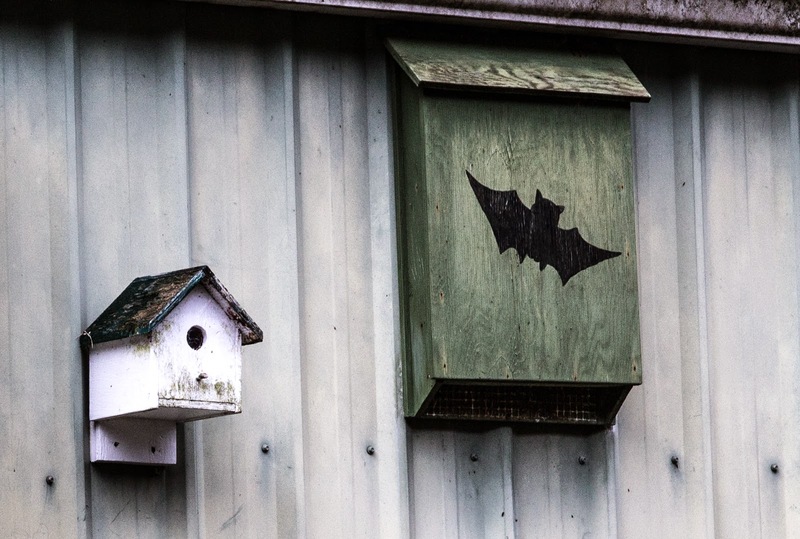 He also had a few bat houses placed near some of the birdhouses. Both bird and bat can live near each other he told me. "At night," he said "the bats swoop out over his property looking for insects." He has lived in Oregon all his life. His drinking water comes fresh from a mountain spring, clear and cold, that is not far from his house. One thing stood out while I talked to him at his home -- that he is a kind man that loves nature and the outdoors. Before I left he gave me a jar of homemade blackberry jam, a jar of his famous sweet pickles, and a frozen piece of fresh salmon out of his river. I made this visit to Dave's home a week ago and guess what, I have finished off all the goodies he sent home with me -- DELICIOUS!